First some thoughts on the different approach in the development of a new webservice or simply said – what is the advantage of using contract-first? 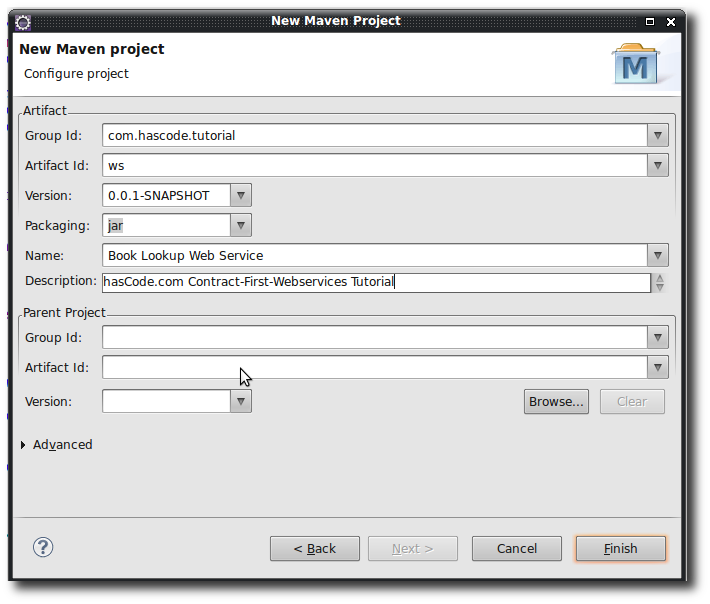 The goal of this tutorial is to create a SOAP web-service following the contract-first approach. 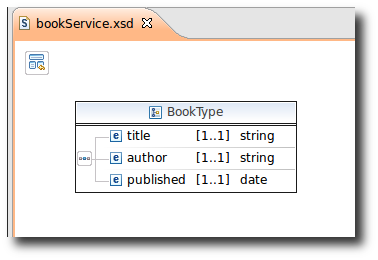 This means we’re going to define the service interface using xml schema first and create stub classes from the WSDL afterwards. 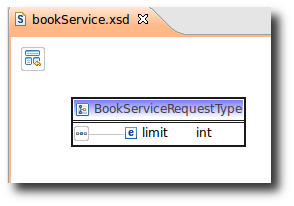 In this tutorial we’re going to implement a book service that allows its clients to query for books. 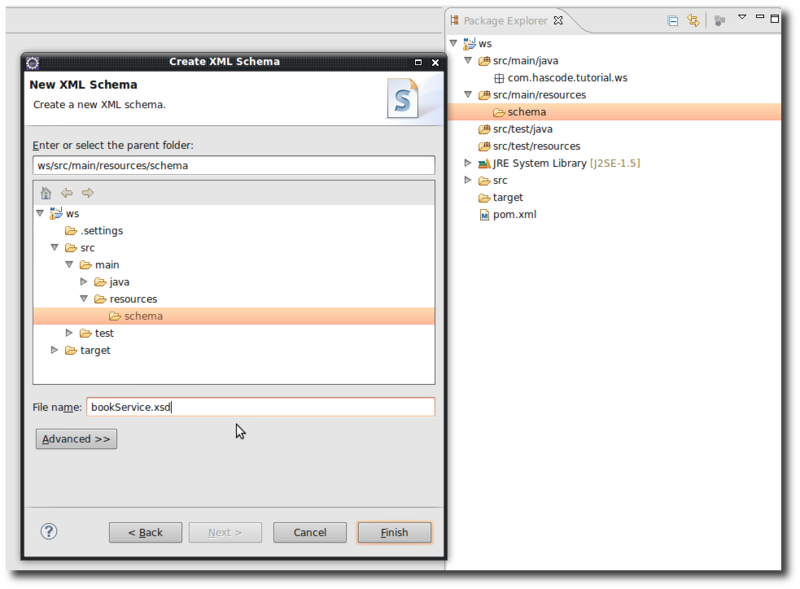 Now that we’ve got a project we’re going to define the XML schema for our web-service’s request and responses..
We’re using the Eclipse schema editor here – it’s really helpful to quickly create a schema. * <p>Java class for BookType complex type. 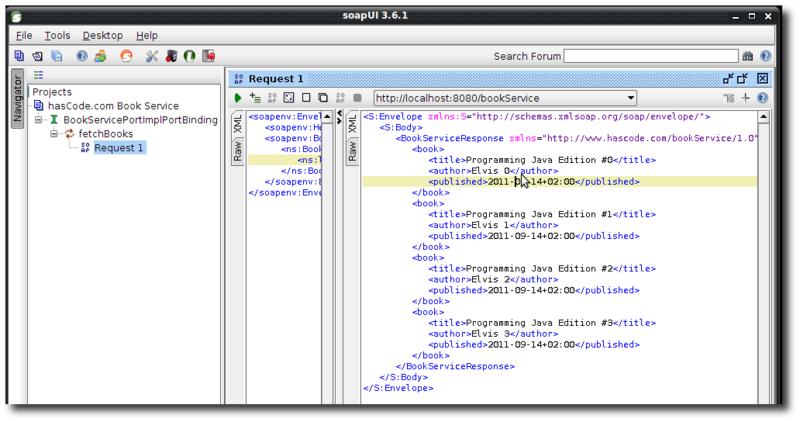 In the next step we’re going to write our own implementation of the service interface ..
Now we want to query for some books but we need a server first ..
<?xml version='1.0' encoding='UTF-8'?><!-- Published by JAX-WS RI at http://jax-ws.dev.java.net. RI's version is JAX-WS RI 2.2-12/14/2009 02:16 PM(ramkris)-. --><!-- Generated by JAX-WS RI at http://jax-ws.dev.java.net. 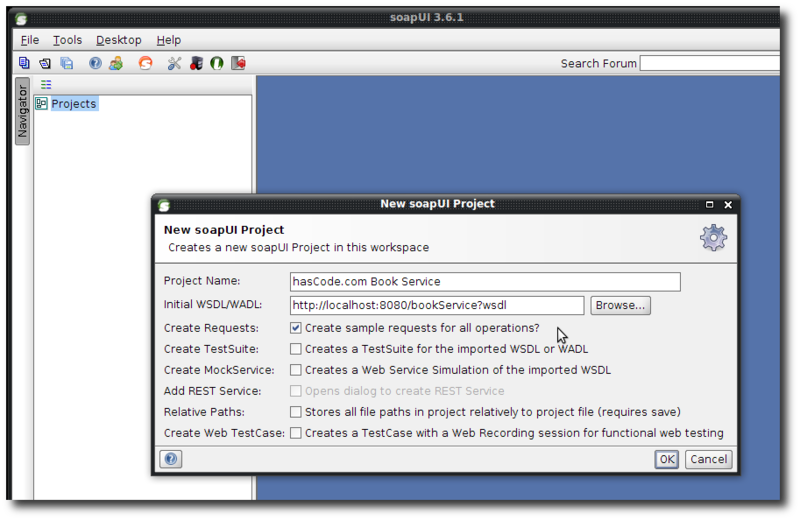 soapUI is my favourite tool for testing and debugging SOAP web services. 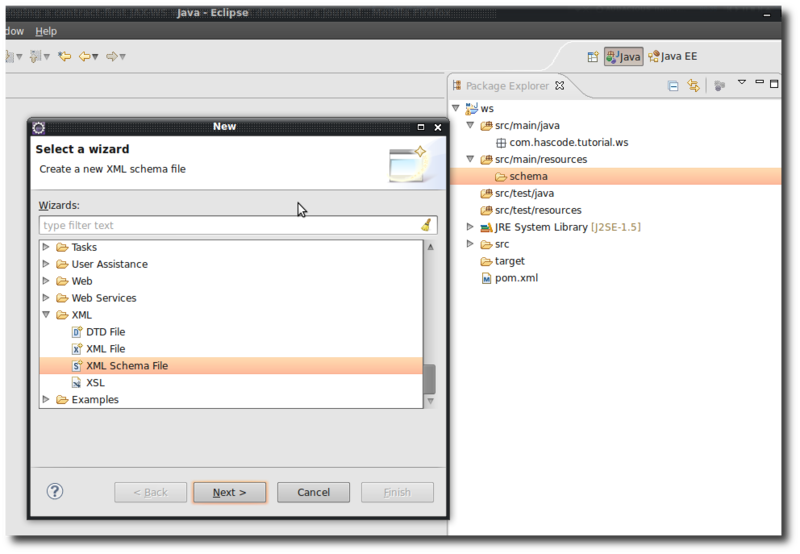 You may use it as a standalone app or as Eclipse plugin .. the last one is what I am going to use here .. 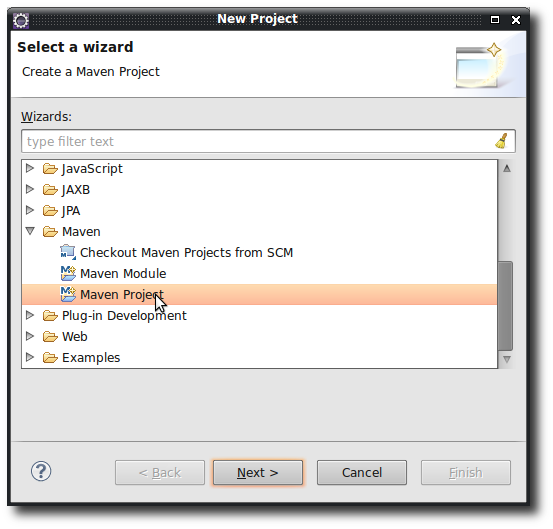 If you’d like to know how to create a SOAP client from the WSDL in a few minutes using JAX-WS, please take a look at my tutorial “Create a SOAP client using the JAX-WS Maven Plugin“. “Plugin execution not covered by lifecycle configuration: org.codehaus.mojo:jaxws-maven-plugin:1.12:wsimport (execution: default, phase: generate-sources) Maven Project Build Lifecycle Mapping Problem” – Downgrade your m2eclipse Plugin version or use the quick fix offered and tell m2eclipse shut up and ignore this “problem. Detailed information on this can be found on this wiki page. This entry was posted on Tuesday, August 23rd, 2011 at 7:54 pm	and is filed under Enterprise, Java, Web Services. You can follow any responses to this entry through the RSS 2.0 feed. You can skip to the end and leave a response. Pinging is currently not allowed. Please! Could you help me? Thanks and hi! :) I suppose that it might be a similar problem as described in the troubleshooting section due to lifecycle problems with the new m2eclipse plugin .. if you’re running the maven commands in the command line, everything is ok, right? if this is the case then just use the quick fix option to ignore the lifecycle phase for the m2eclipse plugin (similar to the case described in the article’s troubleshooting section). Please keep me updated if it did not work for you! 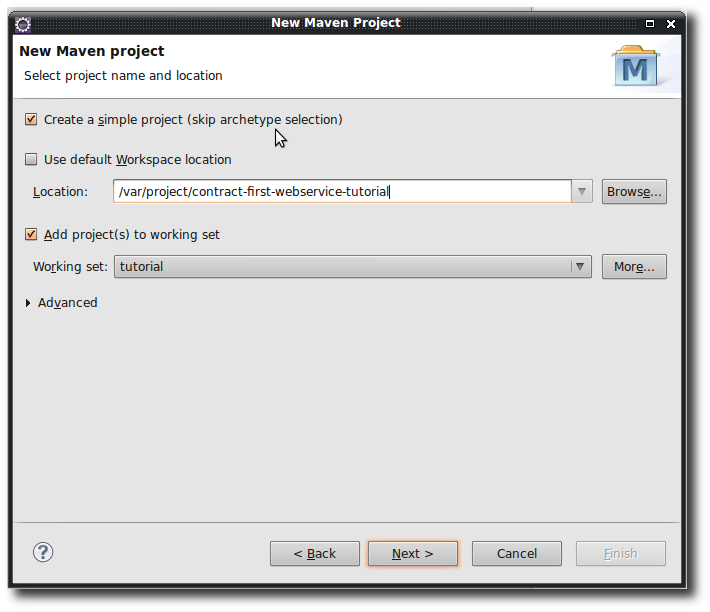 I’m using Eclipse Luna and Maven 3.2.3, although i also attempted to do this on Eclipse Indigo with Maven 2.2.1, I just received a different error. Even when I imported your source code simply I had java errors with the BookServicePortType as it doesn’t recognize it for some reason. possibly a Maven download problem. Please remove the artifacts for the cached dependency from your local Maven repository (rm -rf ~/.m2/repository/com/sun/istack) and trigger the Maven build/download again.